The dermatology professionals at the Center for Dermatology, Laser and Cosmetic Surgery are happy to welcome you to our practice! We are proud to provide the highest quality of skin care and cosmetic procedures to residents of Ardmore, PA.
Dr.Harold Farber MD is a compassionate and highly skilled dermatologist, renowned in his profession and often sought out for his expertise in treatment of the most difficult cases. He has vast experience as a clinician who listens to his patients. Dr. Harold Farber lectures across the country and is a highly sought after speaker who is the ultimate authority on an array of topics. Dr. Farber has served Ardmore patients for more than two decades. “Amazing dermatologist and Cosmetic surgeon! Have my whole family going to him. Both Philadelphia and Narberth offices are great and convenient, extremely helpful and understanding staff and physician. He sees things from a mile away and can detect any skin issue right away and save you much hassle at a later point! 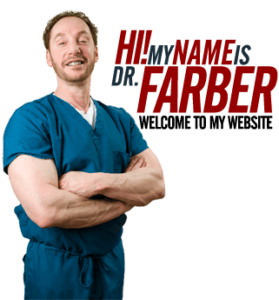 Has a great new skin care line, which he also sells online….awesome website too…check it out…www.farberdermatology.com” – Illana R.
“Dr. Farber treats my mother and I could not ask for better care. He is always thorough with his examinations and makes sure she gets the best care possible. I love that he could be booked but will squeeze you in if necessary. I would rather wait in an office that will see me within a week than have to book an appointment a couple of months out and only wait 15 min. The staff here is always so extremely friendly and helpful. Sad that a great office has poor reviews because I really think if you’re looking for what’s most important, patient care, this office is excellent.” – Gabby V.